Take a Coach Trip to Europe from £19! Are you thinking about getting away this summer? Eurolines are offering you the chance to take a Coach Trip to Europe from just £19. You can travel from London to Paris, Amsterdam or Brussels from just £19 one-way. Why don't you travel to Germany from £59 one-way? It's your chance to see the best of Germany - Berlin, Cologne, Frankfurt, Hanover - and you'll get to travel in comfort! Or maybe pizza and fashion is more up your street - you can travel to Italy from £66 one-way! Want smooth and soft hands? 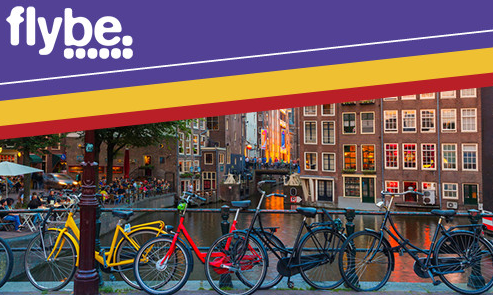 Sign up to the Avios Travel Rewards Programme with Flybe for a chance to win 100,000 Avios points - enough for two to fly to Amsterdam for the weekend, staying in a 4* hotel and even get Lounge Access before you fly.